I think I’ve spotted a trend. Every owner of every restaurant or café in the country is looking for ways to increase revenue – offering take-away boxes, deliveries, home catering, event catering and, my personal favourite, on-site cookery courses. Combine this with the nation’s peculiarly undiminishing appetite for cookbooks, and the fact that self-publishing via on-line packages has never been easier, and what do you get? The book of the restaurant. They’re like souvenirs – if you had a nice meal, why not take the memory home in the form of a book? Who knows, you might be able to create an approximation of what you ate in your own kitchen… although frankly, very few of the recipes in very few of the cookbooks that the British public so eagerly snaps up ever get made. Vegetarian and vegan restaurants may have more reason than most for dipping a toe into the world of publishing. Lots of their customers are not vegetarians, and do not cook meat-free meals regularly at home. Vegetarian cookery (and especially vegan cookery) seems to be a rather specialist area, and one which enthusiastic home cooks might enjoy dabbling with, in much the same way as we might decide to have a bash at creating an Indian or Mexican or Thai feast. In this case, the book of the restaurant is a bit special – not just a souvenir, but also a challenge, a portal into a strange new world of food. But the book of the restaurant is not just about getting people to recreate restaurant food at home. Of course it isn’t – if people could do that, why would they bother trekking out to the restaurant? It’s about marketing, obviously, and about brand loyalty. Also, the idea that people who are capable of cooking well don’t ‘need’ to go to restaurants is a fallacy – we all keep on doing it, even though the décor is grotty, the service is grumpy and the food isn’t a patch on what we could have made ourselves – and we keep willingly paying for the experience. We must, subconsciously, be looking for more than food from a restaurant: perhaps I’ve already said it. Decor – we want to be in an attractive place. And service – we want to be waited on. And obviously, we want somebody else to do the hard work of cooking. Incidentally, I’ll be doing something not dissimilar to this tomorrow evening, when I’ll be sitting down to share a meal with six people I haven’t met yet. They’ll have spent the day with me, on a vegetarian cookery course, so we should have at least one experience in common. What comes out, when we are all told to relax, told we can take whatever we like from a massive buffet of food, and handed a glass of wine, after a fairly stressful and physically demanding day in a strange kitchen surrounded by strangers, is often fascinating – I hear about why people are (or are not) vegetarian (or vegan), why they cook (or why kitchens scare them), who they have met and where they have been, self-help challenges and diets they have tried, their religion (or ideas about spirituality, or atheism), and how it felt to watch their parents die. Blimey. Then I go back into the kitchen and mop the floor. It’s very grounding. I’ve recently been sent three ‘books of restaurants’ which take three very different approaches to design and content. They’re from tibits, a well-known and stylish vegetarian buffet and bar just off Oxford Street in London; El Piano, a vegan café on a cobbled lane in the centre of York which specializes in Spanish-style food, all gluten and nut free; and The Star Anise Art Café, an ‘artisan’ café in a courtyard in Stroud, surrounded by craft workshops, a bakery and a theatre company. At tibits (yes, small t), food and style come as a package. The enormous buffet is presented in a ‘salad boat’ – an ergonomic curve of polished wood that is pleasing to the eye and tends to discourage the dead-eyed queuing you get at motorway service stations. There are hot and cold dishes, and desserts, all carefully monitored by almost invisible staff who whisk away anything that starts to look a bit tired. The array of salads is a real treat, with refreshingly unusual (but not mad) combinations of fresh, colourful veg, beans, nuts, grains and dressings. You slightly wish that the owners had more control over the clientele, who do their best to destroy the ambience of the place by dawdling and gawping, gabbling into mobile phones and piling up shopping bags everywhere. (Consumerism is so naff. Must you really haul yourself up and down Oxford Street in designer shoes toting designer carrier bags when you could just quietly order online and get things delivered? Silly.) The first time I went there, I looked for the cookbook, because I wanted to have some of the salad recipes nailed down for future reference. Especially the thing with the horseradish. No book. I was moved to tweet about the lack of a book of the restaurant. Now ‘tibits at home’ has arrived. Some books make me excited before I’ve even opened them – in fact, sometimes I’m almost afraid to open them, as it might be a disappointment! This was like that. There were some disappointments, though. Firstly: not enough recipes. I really wanted a book of salads. Maybe everybody else wanted a book of salads, soups, sandwiches, fritters, puddings and directions for making stock. I didn’t expect tibits to get bogged down in standard stuff – carrot, apple and ginger juice, pea and mint soup, veg with red Thai curry paste, tiramisu, vegetable quiche, samosas, berry crumble, coleslaw, dal, spinach and feta lasagne. Although, to be fair, the carrot, apple and ginger juice also contains fennel, the Thai curry calls for cocoa beans, the tiramisu has been reinvented in coconut and pineapple, and the quiche has a spelt base filled with blanc battu – fancy. The coleslaw has peach and passionfruit syrup. Cor. There’s nothing like an ingredient that’s impossible for me to get to snare my interest. Cocoa beans! In pods! Imagine! Stand-out ideas for me: dragon tea, a chilled mixture of oolong, mint, grapefruit juice and elderflower syrup; poppy seed cake that looks like amazingly dense Swiss roll (do they have Swiss roll in Switzerland? Arctic roll in the Arctic? ); soybeans with lemon dressing (simple, elegant, good use for frozen edamame). The room with the white shag pile carpet and full length windows shot from overhead on page 58. But only a handful of salads. Boo. I was ready to learn. A book of salads next? The tibits book is a very professional-looking product. The El Piano book, by contrast, is a bit of a riot. I’ve got ‘The Final Touch/El Toque Final’, which is the fourth in a set which started to appear in 2002. I’ve eaten at El Piano several times, but never bought a book as a souvenir. I’m afraid to say that that is probably because the design of their publications is not to my taste. I don’t really like saying anything critical about book design – out and out mistakes or uninspired content are fair game, but design is very much a matter of taste. So: this book’s design is not my cup of tea. The food photos don’t do the food any favours – the styling isn’t to my taste, the photography itself is amateur. The typography and layout are muddled and confusing, with Spanish and English text all over the place. The colours are garish and the colour used for the text switches about so fast that it makes me queasy. The typeface is just plain ugly. It took me a while to get past this. But I did. And it turns out that this is a little gem. It was written in response to customer requests for a book of desserts, but the author has taken the opportunity to pop in a few other bits and pieces – new savouries that didn’t make it into the earlier books, info about bread and tofu making, and recipes for sauces, chutneys and condiments. And soups. It’s a quirky combination. As soon as I applied myself to reading the text, I was pleasantly surprised. The author explains that sauces are the cook’s solution to the old adage that you can’t please all the people, all the time. Offering a plate of food with a variety of options for saucing makes it more likely that more of the people around the table will be pleased. Cunning. 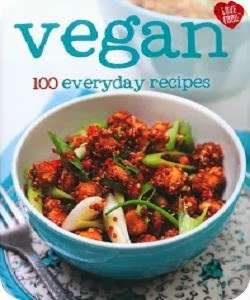 The big selling point with this book, I think, is that not only is everything in it vegan, but it’s also all gluten-free and nut free (apart from coconut and sesame). It’s really interesting to see how the team in the kitchen at El Piano have applied themselves to working with gluten-free flours to make breads, cakes and sauces – it’s as if a team of researchers have been carrying out culinary experiments so that the rest of us don’t have to. These recipes are all tried and tested – the food has been served up to paying customers, and they liked it. The recipes can be difficult to follow, but look on the positive side – having the Spanish text alongside the English is a perfect aid to learning another language! I do appreciate the way that the recipes are written – to make a chutney, you’ll need two units of chopped fruit or vegetable, one unit of chopped onions, one unit of sugar and a quarter of a unit of vinegar. And whatever spices you like. That’s how real kitchens work: you need a basic understanding of the mechanics, why the recipe works, and then you can use whatever you have to hand – a recipe for creativity. For the adventurous home cook, it’s worth getting this book for pages 46-47 alone – a photo story about making tofu at home. It’s like being taken by the hand, led into a working kitchen and shown the surprisingly simple ingredients and apparatus. If I was being picky I’d ask whether there was any scope for making soya milk first, rather than making tofu out of purchased soya milk – but this is the real world. I wonder how the economics work – is it really cheaper to make tofu from soya milk than just to buy it? Would it be cheaper still to start from scratch with the beans? Are there reasons, connected with ethics or additives or control over the texture, that make it better to make your own? The Spanish text may be distracting but the Spanish influence on the recipes is very interesting. There are lots of nice nibbly things that look as if they have Spanish origins: calitas, tinas, pestolitos… and there are dishes from other countries too – a useful vegan French onion tart, a Peruvian pie made with mashed potatoes, sushi, noodles… and I hadn’t considered cooking rice in fruit juice (the book suggests orange juice with ginger and tamari, or pineapple juice with wasabi). The section on sweets doesn’t start until page 61, but it is a revelation, as not only are they all vegan, nut free and gluten free – lots of them are sugar-free too. It’s not easy to make something you can class as a treat with restrictions like that. But here are recipes for a sugar free apple cake, a ginger cake with quinoa, a Spanish moon cake, an Indonesian banana and coconut tart… plus others that do use sugar. The photos and styling aren’t great but they do offer a very genuine idea of what the real thing looks like – and suggest that you can achieve good results at home too. The introduction to the book says that it will suit creative chefs more than out and out beginners. Nowhere is that more evident than on page 62 when the author radically suggests that anything that is milled can be used like a flour… it’s all about experimentation. I love this approach. And it would be very wrong of me not to applaud El Piano for their green cred and their genuine involvement in the local community. I’m sorry I don’t like the book design but I’ve got to be honest – the reviews on this blog are my genuine personal opinions, not just gushy stuff. And it’s not the end of the world. I’d absolutely love somebody to give El Piano the same treatment that Prashad, a family-owned Indian restaurant in Bradford, was given after Gordon Ramsey took it under his wing. I know it's a bit odd for a veggie to be saying that. But look at them now: a nice cookbook in pride of place in Waterstones, nice website, very able PR, all providing back up to the same family of cooks, who are still doing what they do best. Somebody needs to arrive on the doorstep at El Piano and say, oh my god, what’s going on here? Who knew that you were creating vegan, gluten-free, nut-free, sugar-free food with all these international flavours in a back street in York? Material like this needs to be translated into a really attractive book – then it will start to get some proper attention. But perhaps, these days, nobody gets that unless good old Gordon (or a TV celeb-chef of your choice) rocks up and wants to make friends. Well, failing the arrival of a TV personality with god-like powers, self-publishing isn’t a bad option, as long as you’re mainly publishing books to sell to people in your restaurant, and don’t expect to shift a garage-full of paperbacks through WH Smith, Waterstones or Amazon (or even your very own website, even if it is super). I’ve already said that design is a matter of taste. Enter the third book in this set, The Star Anise Café Cook Book. Self-published, but it’s immediately obvious that this is the work of a decent designer who is up to speed with the current vogue for letterpress styling – it’s an accomplished combination of professional book design with a ‘home-made’ feel – nice little hand-drawn illustrations, very occasional understated photography, loads of white space, and thoughtful, functional typography. If I’m the person it’s aimed at (and I think I’m just the type) then it’s working. However – though I hate to admit it, I would have delved into the book sooner if it had had some food photos in it. I hate to be so shallow, but without pics, you really have to find at least half an hour to sit on the sofa and work through the book, and actually read it, to find out what’s in it. I have now done that. Well, I do like the sentiment, even though (as I mentioned above) I do tend to get excited by new ingredients, and heaven knows, I now see new recipes and culinary inventions practically daily. The authors of this book are classically trained chefs, and it shows. It’s especially noticeable in the techniques that they use – they know a thing or two about getting the best flavour out of simple ingredients. The tip about soaking nuts and seeds before toasting them, to keep the internals from going dry and brittle, and the technique of covering vegetables in a pan with a lid that goes right down inside the pan while they cook slowly in their own juices… this is the sort of insider knowledge you get from real professionals. I liked the explanation of the ‘soda cake’ method of creating vegan, sugar-free cakes, and the fact that readers were encouraged to experiment. I also liked the fact that these authors included a fabulous coffee and walnut cake that’s covered with a truly luxurious icing made from butter, maple syrup and espresso – they called it ‘the exception that proves the rule’. I think it shows that they enjoy food and they’re not too po-faced to enjoy something a bit naughty. Overall, I really admire the way the recipe methods are written – the authors are generously teaching people not just to cook but to cook well. Because they understand not just what to do, but why to do it, they can share the knowledge. It’s not just ‘do this, do that’, or ‘1,2,3… tah dah!’ – following well-explained traditional methods like this is a valuable learning experience that will educate readers and make them better cooks in the future. That makes me very happy. The authors are interested in macrobiotic principles, and this informs their cooking. 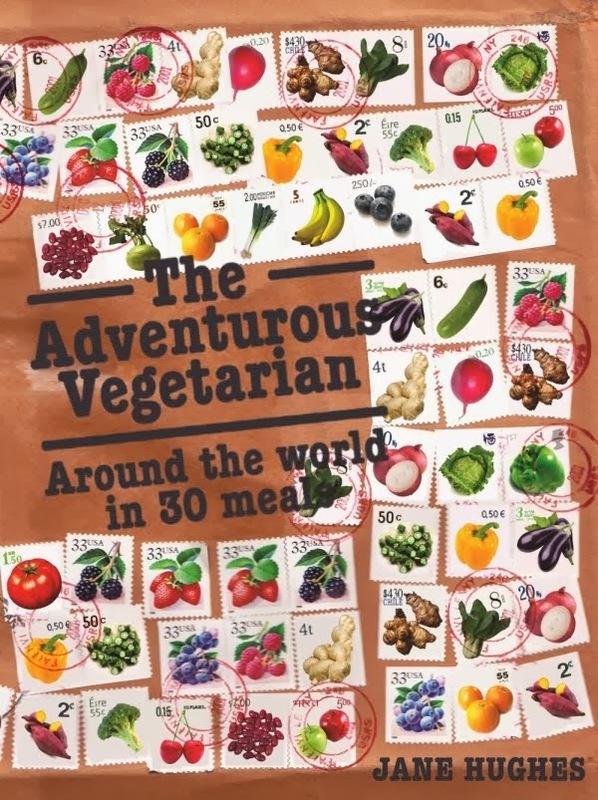 There’s an interesting passage on page 14 about the ubiquity of tomatoes in modern vegetarian cookery, which argues that tomatoes are hard to digest and should not necessarily be hurled into every stew without a little forethought. Food for thought. I also very much enjoyed their take on the ‘five elements’ of a vegetarian dish – and I may well start to say something similar to the professionals I teach at the Cordon Vert Cookery School. The five elements they identify are grains (or carbohydrates – they include potatoes here), protein (which is just one of the five elements and not necessarily the most important one), root vegetables and gourds (sweet, starchy veg), leafy greens and a sauce (or gravy, salsa, relish or pickle) which brings everything together. Not a bad blueprint, I reckon. The authors have made a conscious decision not to use a wild assortment of ingredients – the effect is to make this collection extremely accessible but somehow not samey. I enjoyed the fact that, wherever possible, ingredients aren’t weighed or measured – one of these, two of those and a handful of the other. I did notice that most of the recipes are enough to feed 4-6 – more generous than most cookbooks, but I think it’s a sensible way to cook – cook once, eat twice. I’m very glad I took the time to read the book and, if I had to buy a book as a present for anybody just starting out in vegetarian cookery, especially for somebody bright enough to ‘do the reading’ and appreciate the text, then I think this might be the one. A collection like this provides a foundation of dishes and techniques that could inform the work of an intelligent vegetarian or vegan cook for a lifetime. And better no pictures than bad ones.